I was thinking of the British Empire and how if you were there and you were the Vice-Roy of India you would feel that you were doing only good for the people of India. Or similarly, if you were in French Africa, you would think I’m educating them, I’m bringing their resources to the world, and I’m helping them. There was a time where cultural imperialism was absolutely accepted and, in fact, if you were a history student you would be proud of the contribution that these great empires gave. I would say we are at the beginning of a new empire and just as it is probably the most exciting time in terms of screened entertainment, that I certainly in my career that I’ve ever experienced in terms of quality. When I watched “My Brilliant Friend” I was so moved to see a fantastic Italian language show with an Italian dialect. So unbelievable to be able to experience this cultural sharing. 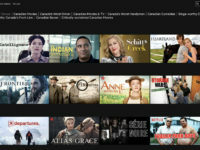 So for this we are very grateful to Netflix. However, fast forward, to what happens after imperialism and the damage that can do to local communities. So all I would say is let us be mindful of how it is we as Canadians respond to global companies coming into our country. 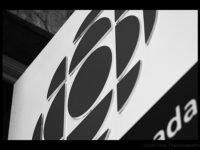 Outlier, Part 2: What is the CBC Doing Supporting Website Blocking? 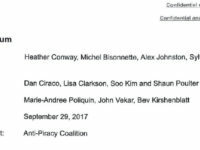 The Bell coalition website blocking proposal, dubbed FairPlay, clearly started with Bell: it first raised the issue in September at a House of Commons committee hearing, obtained the legal opinion to support the application (it is addressed to Bell), and used a closely allied law firm to draft the application. 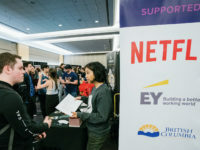 The coalition follows a familiar narrative, much like the “Fair for Canada” campaign in 2013 that was designed to convince Canadians that keeping foreign competitors such as Verizon out of the country was in their best interest. The coalition features representation from several sectors (as noted yesterday, the leadership of telecom companies is an outlier when compared with other countries), but one participant in particular stands out. 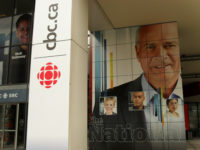 The CBC, Canada’s public broadcaster, has said its decision to join the coalition was a question of principle, reflecting its opposition to piracy. Yet the issue is not opposition to piracy, but rather whether the proposed coalition solution that includes blocking without court orders, violation of net neutrality principles, risks of over-blocking, and vulnerability on human rights norms run counter to other principles that ought to be held by a public broadcaster.